Our friendly and professional team pride themselves on helping you achieve your healthiest, most beautiful smile. 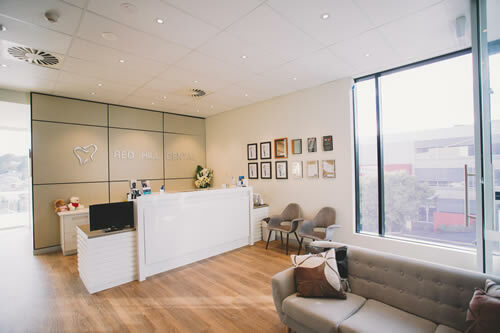 From the moment you enter our practice, to the minute you leave, we want to ensure that your experience at Red Hill Dental has been an extremely positive one. That’s why we go above and beyond to provide patients with a calming, relaxing and supportive environment, whilst our gentle approach to dentistry is second to none. You’ll love our wide range of high-quality dental treatments to suit your every need, including our comprehensive list of cosmetic and general dental services. 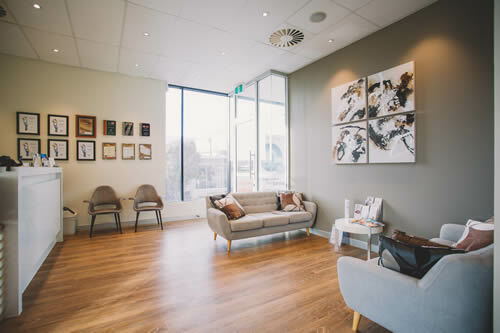 Relaxing background music: sit back in the waiting room and tune out with our relaxing soundtrack. Child-friendly visits: Our dedicated children’s activity room keeps your child entertained and comfortable during your visit. Pillows & blankets for extra comfort: To keep you warm and relaxed in the dental chair, we provide pillows and blankets. Flat-screen, smart TV: To take your mind off your dental procedure, you can sit back and focus on the TV on the ceiling. We all experience treatment-related anxiety from time to time. For some patients, however, their dental anxiety or phobia may be so severe that they find it extremely uncomfortable or upsetting to visit the dentist for treatment. 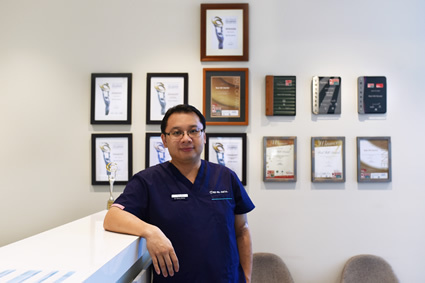 At Red Hill Dental we have seen many patients with dental anxiety who are now our loyal patients. When you arrive, we will ask how you feel about the dental treatment, and discuss with you various options to manage your anxiety. We will support your choices without judgement, and we strive to provide the best care possible to make your visit comfortable. In return, we ask you to let us know if you are feeling anxious, so we can be prepared for your visit and accommodate any special needs. Whether your dental anxiety is moderate or more severe, we provide a number of options to reduce any fear or discomfort you may experience during treatment. 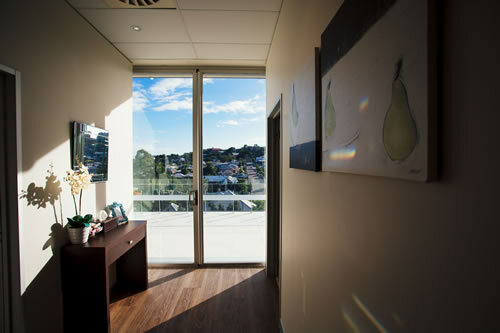 We are also happy to discuss your feelings, concerns and needs to help you better manage or lessen your anxiety. Nitrous oxide (Laughing Gas) is available to help alleviate anxiety to ensure your dental treatment is a comfortable experience. Topical anaesthetic applied to the gums to reduce the discomfort of an injection. Local anaesthetic as a numbing agent injected into specific areas of the gum to prevent discomfort during dental procedures. Our dentist will thoroughly examine your mouth, including taking oral photographs and x-rays, and then discuss your results to help you better understand your oral health needs. We will provide you with written treatment details, estimates, and payment plan options. Your treatment fees are discussed prior to all treatment. We accept EFTPOS, Mastercard, VISA and American Express. Please note that there is a 1.5% surcharge for American Express. At Red Hill Dental, we recommend check-up & clean every 6 months. This is because regular check-ups help to better detect and treat problems at the early stages. Regular check-ups will not only find problems in teeth and gums, but also detect general conditions of your body. 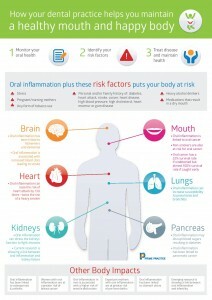 There is a close relationship between your oral health and overall health. Oral inflammation affects the entire body, because the bacteria infection can spread causing health complications. 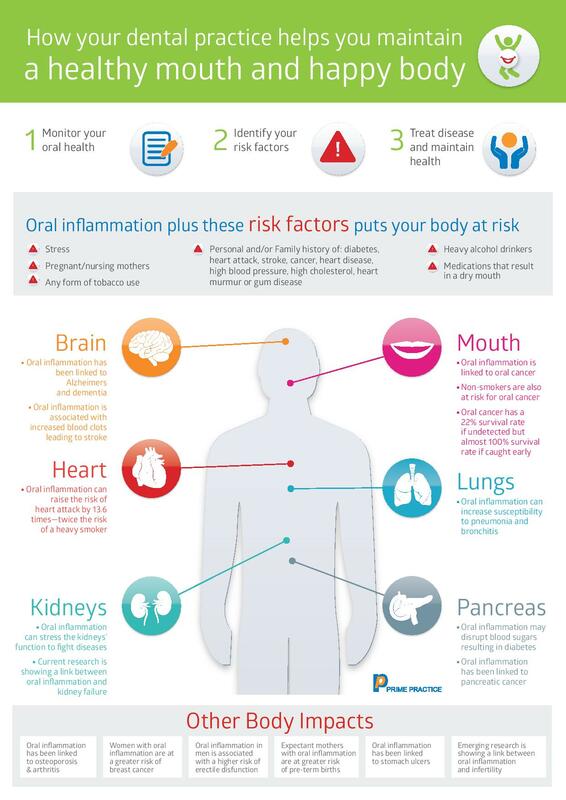 Studies have shown strong links between oral inflammation and health problems such as oral cancer, diabetes, heart disease, osteoporosis, respiratory disease, and pancreatic cancer. As our appointment schedule can get very busy, many of our patients like to pre-book their routine dental check-up & clean six months in advance. We will send you an email on the day that the appointment is made, and reminders approximately 3 weeks prior to your appointment. Due to the nature of the six months pre-booking, there can be changes in the clinician or your appointment time 6 months later. We will endeavour to let you know of the changes as soon as possible. In return, we ask you to please contact our office at your earliest convenience if you need to cancel or reschedule, so that we may offer the appointment to a patient in need. 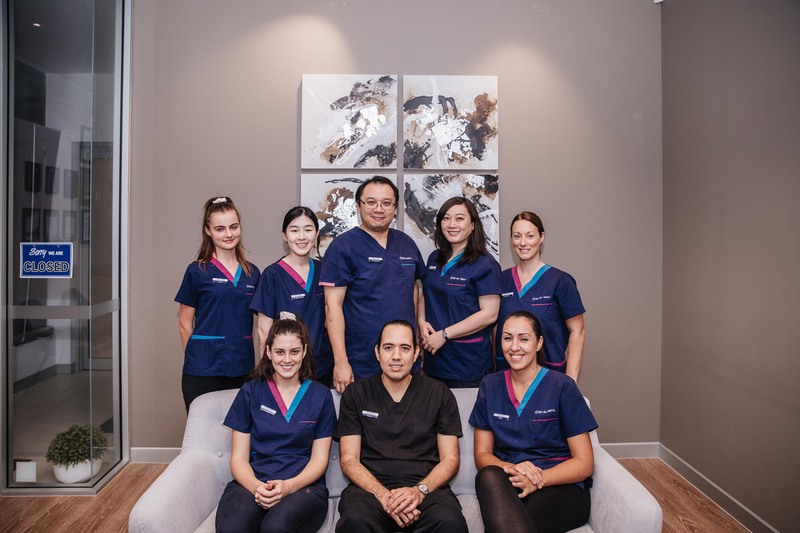 We love welcoming new patients to our Paddington dental practice and encourage you to contact us today to schedule your first consultation with our gentle, friendly, and professional team.